Exclusive features, colorways, and the most powerful ATV engine at 91 hp will have you itching to take the 2019 Outlander MAX LIMITED on a long tour off-road—with performance to spare. 26-IN. ITP TERRACROSS TIRES AND 14-IN. 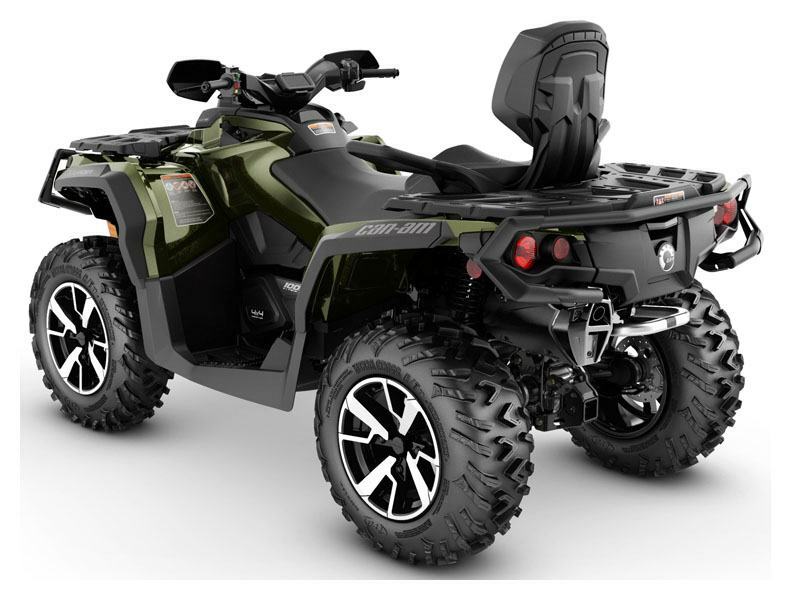 CAST-ALUMINUM WHEELS: Performing as well as they look, premium 14-in (35.6 cm) cast-aluminum wheels with less unsprung weight and improved strength are matched with durable 26-in (66 cm), 6-ply ITP Terracross tires with a tread that delivers both a comfortable ride and strong off-road grip. REAR AIR CONTROL SUSPENSION (ACS) WITH FOX AIR ASSIST HPG SHOCKS: Using an onboard compressor, this intelligent suspension system adjusts the rear high-pressure gas FOX Air Assist shocks to one of six rider-selectable preload levels, maximizing rear suspension performance and allowing stiffness to be adjusted on-the-fly. Comes with a hose to fill tires, too. 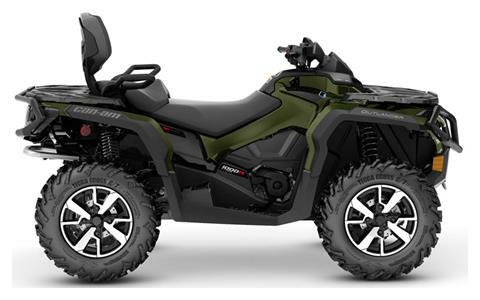 GARMIN MONTANA 650T TOUCHSCREEN GPS: Can-Am partnered with leading GPS manufacturer Garmin to equip the Outlander MAX LIMITED with an integrated touch-screen Montana 650T GPS. 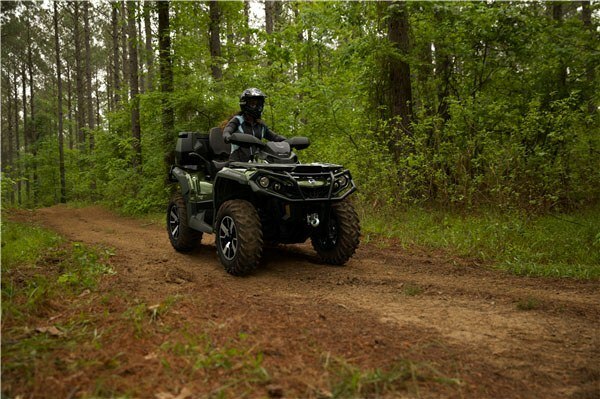 With a 5 MP camera, preloaded topographic maps, 4-in color display, barometric altimeter, 3-axis electronic compass, wireless data sharing, and more, it'll earn your trust far off the beaten path. HARDWORKING STANDARD FEATURES: An industry-leading 1,650-lb (750 kg) towing capacity, front and rear racks with LinQ attachments points, and multifunction gauges will make the Outlander your preferred companion for work and play.Heavy-duty front & rear bumpers, handlebar wind deflectors, mudguards.